This is an incomplete list of places in London, England. 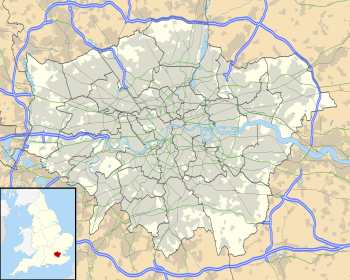 Aside from the City and the London boroughs themselves, all contemporary districts of London are informal designations; usually based or adapted from historic parish or borough boundaries which were all abolished by 1965. London postcode districts often have an influence over where a place is considered to be although they were not designed for that purpose. All London boroughs are divided into wards which often share the names of London districts, however, they rarely share the historic or commonly accepted contemporary boundaries of those places. Greater London consists of the City of London and 32 London boroughs, of which 12 are statutory Inner London boroughs and 20 are Outer London boroughs. ^ London Assembly - London Assembly Constituency Information Archived 2008-01-17 at the Wayback Machine. Retrieved on 22 February 2008.